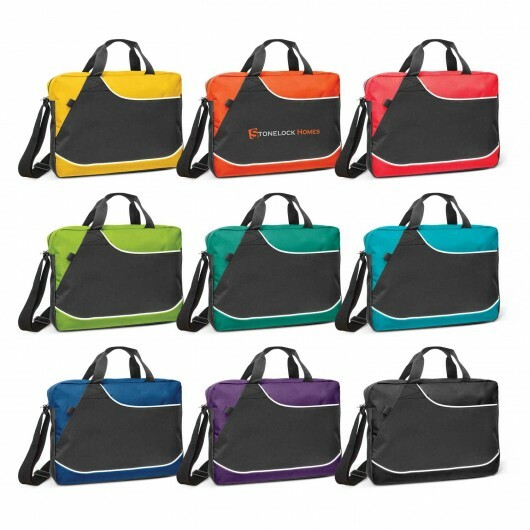 Improve your brand recognition and put your logo in the spotlight with these practical conference satchels. 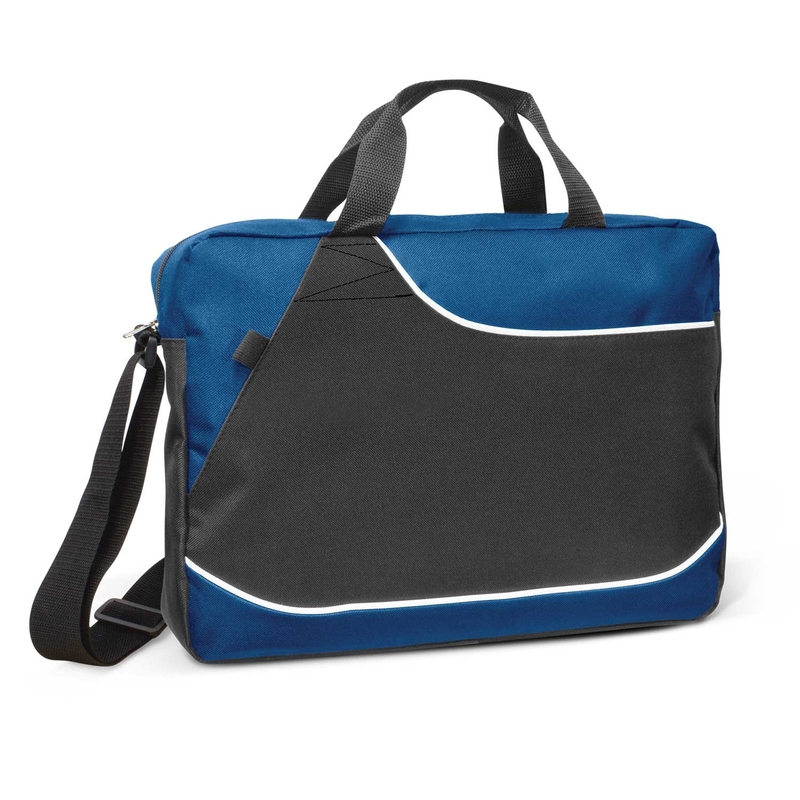 A smart, effective conference satchel that's available in a huge range of vibrant colours, giving you choice to select complimentary colours to your logo. It's at a great price point and is made from 600D polyester with carry handles as well as an adjustable shoulder strap. Other features of the bag include: a curved slip pocket on the front, a handy elastic pen loop, white piping decoration and a business card holder on the back. Handle Length: 310mm. Strap Length (extended): 1140mm.